What is included in the existing General Plan? 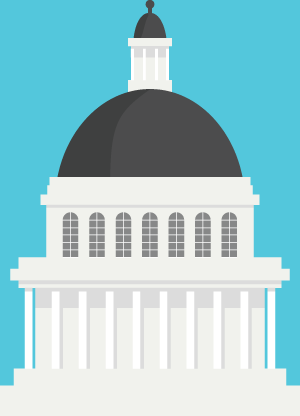 Every city and county in California must have a General Plan, which is the local government’s long-term blueprint or “constitution” for future development. The General Plan represents the community’s view of its future and expresses the community’s development goals. The General Plan contains the goals and policies upon which the City Council and Planning Commission will base their land use decisions. California State law requires that each city adopt a General Plan “for the physical development of the city and any land outside its boundaries that bears relation to its planning.” Typically, a General Plan is designed to address the issues facing the city for the next 15 to 25 years. As a part of preparing the 2040 General Plan, the existing elements may be reorganized and new elements may be added to emphasize new planning issues that have arisen since the current General Plan was adopted. The City of Union City adopted its current General Plan in 2002. Since that time the city has grown and changed. New laws have passed that affect general plans and new planning strategies have been developed. These changes require a reevaluation of the existing General Plan and confirmation of the vision for Union City. This General Plan will look ahead to the year 2040, so the update will not only bring policies and programs up to date, but also position Union City for the next 25 years. 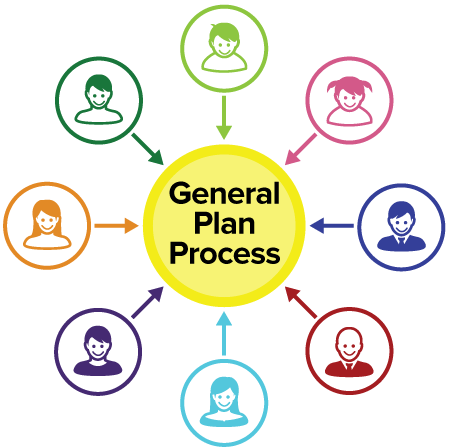 State law also requires that the General Plan be internally consistent. This means that policies in one chapter or element of the Plan may not conflict with policies in another chapter or element. This is important, for example, when planning where future land uses will go and what types of infrastructure and services will be needed to serve those uses. Finally, as the long-term blueprint or constitution for all future development, any decision by the City affecting land use and development must be consistent with the General Plan. It is the City’s responsibility to determine whether proposed land use development approvals are consistent with the General Plan. The General Plan, other City plans, and the Zoning Ordinance all differ in the level of detail they include. The General Plan has a long-term outlook. 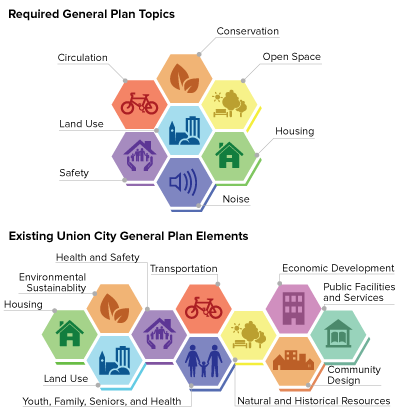 It identifies the types of development that will be allowed, the spatial relationships among land uses, and the general pattern of future development. Other City plans and the City’s Zoning Ordinance implement General Plan policies through more detailed development regulations, such as specific use types and building standards or infrastructure improvements and financing. 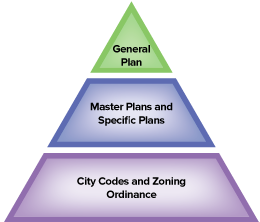 State law requires that all City plans and zoning be consistent with diagrams and policies in the General Plan. Development must not only meet the specific requirements of adopted City plans and the Zoning Ordinance, but also be found to be consistent with the broader policies set forth in the General Plan. The graphic to the right illustrates the relationship between the General Plan, City plans, and the Zoning Ordinance. The General Plan is at the top, and City plans and the Zoning Ordinance support the General Plan by implementing its policies. Under the California Environmental Quality Act (CEQA), the potential environmental impacts of all major development projects must be assessed, disclosed, and appropriately mitigated. 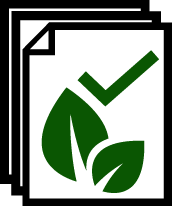 The results of this environmental review process are conveyed in the form of an environmental impact report (EIR). As required by CEQA Guidelines, the Union City General Plan EIR will identify the potential environmental impacts associated with implementation of the General Plan. This analysis will assess and, if necessary, include measures to mitigate potential impacts related to CEQA-required topics. 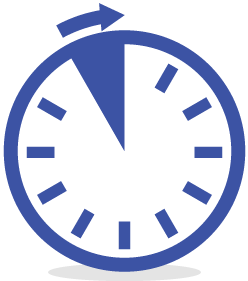 These topics include: air quality; greenhouse gases; hazards and hazardous materials; hydrology; land use; noise; population and housing; public services; recreation; traffic and transportation; utilities; agricultural and forest resources; biological resources; cultural resources; geology, soils, and mineral resources; and aesthetics. It is anticipated that the General Plan will be completed in Spring 2016. View the full process here. 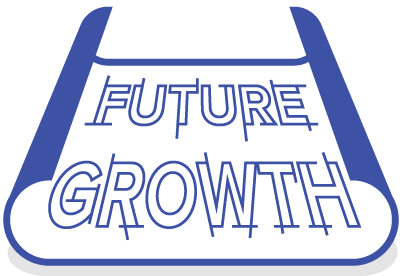 The General Plan process provides all residents and businesses the chance to help guide the future of Union City. A successful General Plan will reflect the community’s vision and priorities, and we need public input to set the vision and priorities. The General Plan process is an opportunity for community members to discuss the city’s future. There will be many opportunities to participate, including meetings, workshops, and public hearings. Once the project begins, we will post all of those opportunities on this website.